Our menu is varied, but what remains constant in our dishes is masterful preparation and great flavors. We promise that you will find a dish that you will love when you eat with us. Come in tonight, and try out one of our dish specials! Feel free to bring all of your friends to our spacious tavern and enjoy happy hour from 4pm-7pm. Make us your regular spot today! It would be our pleasure to help you create lasting memories in our banquet hall in Millstone, NJ. Let us cater to the needs of your special event today! The happy hour menu here at Tommy’s Inn At Millstone Family Restaurant/Bar is the best in town. We are able to accommodate any of your special events in our spectacular and spacious banquet rooms. Having the whole family agree on a restaurant can be a difficult feat, but if you are looking to satisfy all the varying tastes within your family unit, come here to Tommy’s Inn At Millstone Family Restaurant/Bar. We have something for everyone. Feel free to bring the entire family. We have child-friendly favorites and delicious entrees for your adult tastes. The best part about our restaurant is that you pay a low price for a great meal. People in Millstone, NJ and the surrounding areas love coming to our restaurant to eat because we nurture a warm, inviting, and relaxed atmosphere here at Tommy’s Inn At Millstone Family Restaurant/Bar. We believe that great food should always go hand in hand with great service, and you will find that here at our restaurant. Our servers are polite, attentive, and will do whatever they can to make sure that you enjoy your meal and your experience with us. Once you have sampled our varied menu once, we know that our restaurant will become a staple for you and your family. Great food is not the only thing we have on tap either. We have a full bar stocked with quality microbrews, spirits, and fine wines. Our bar is a great place to catch the big game with your friends or share an intimate evening with that special someone. 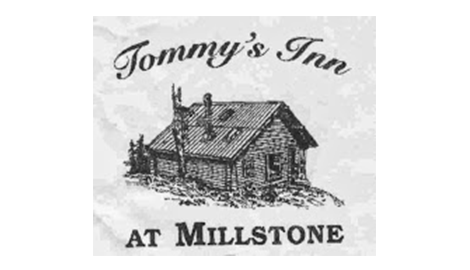 Eat with us here at Tommy’s Inn At Millstone Family Restaurant/Bar, where good food is always in season! Join us for happy hour 4pm-7pm!